My mum gave some shiny ribbon still brand new with the tags on, it looked perfect to make some decorations so I made these hanging stars. 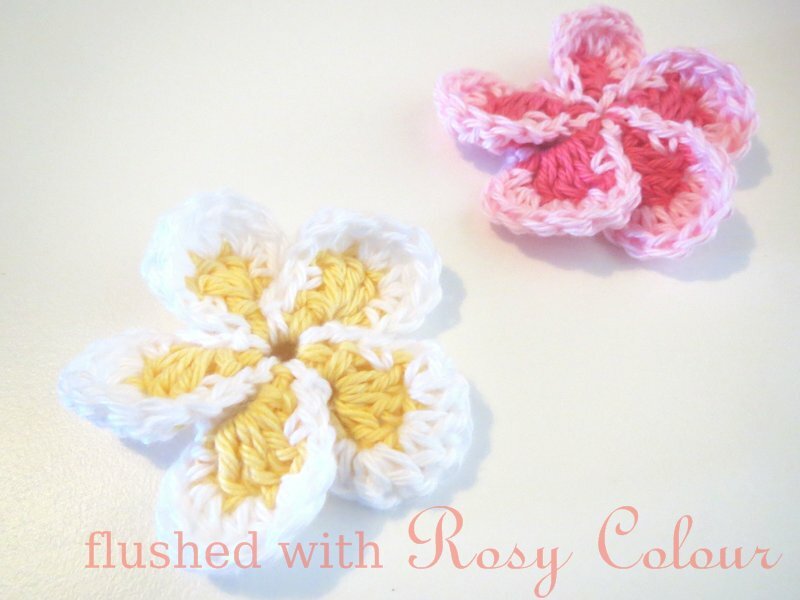 My friend Hazel saw them and asked me to make some more for her, so I have another order for my little shop! 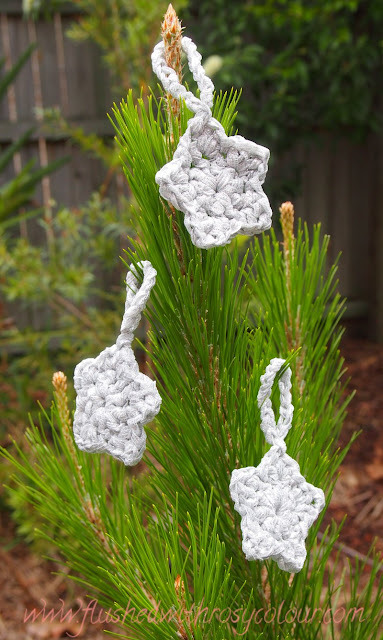 I used my 6mm hook, which worked well with these hanging stars. 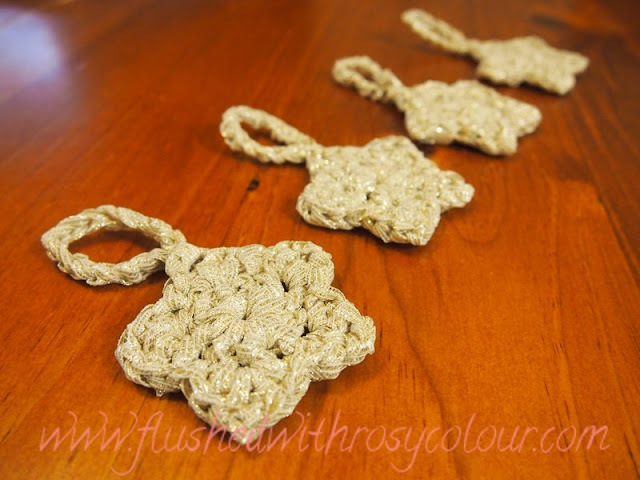 I just used my simple 5 pointed star pattern, plus and extra 16 ch for the hanging loop. 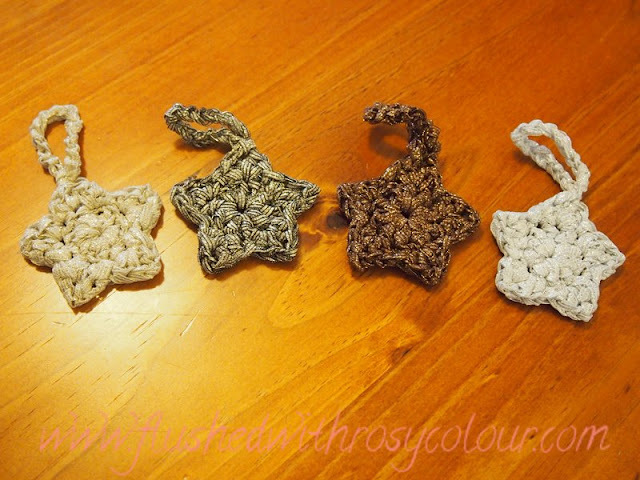 Making the hanging stars were simple enough, the tricky part was sewing in the ends. After I was nearly finished, I realised it was easier to simply weave them in with a 4mm hook. I think they look really cute, what do you think?